Since being launched by Chaka Cumberbatch-Tinsley in 2015, #28DaysOfBlackCosplay has become a rallying cry across the globe. Black cosplayers have taken on individual and group endeavors to promote each other, creating one viral cosplay sensation after another as we flex our creative love for our fandoms in the most visually arresting and often inventive cosplay projects. Starting TODAY, February 1, 2019, to celebrate #28DaysOfBlackCosplay, we, multi-media producer, Kecia Y. Stovall, and I are releasing The Space Between: Celebrating Black Womxn in Geekdom. 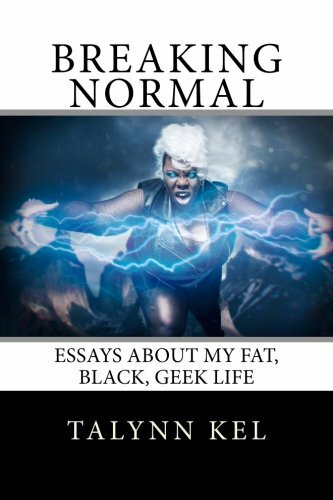 This is the first part of a multi-level, multi-media project that seeks to capture that amorphous space where Black womxn and gender non-conforming individuals embody art, beauty, frivolity, love, responsibility, independence, caring, body positivity, acceptance, politics, defiance, self-love, and visibility in geek spaces. As people who are routinely excluded from the conversation, we sought to create something that would speak directly to that experience and create an opportunity for those in that space to visually explore what it represents for them…and, well, me. Please share the photos and videos with your followers using the following hashtags to join the conversation and to support Black cosplayers. Real talk, the images are gorgeous and I cannot thank Kecia enough for not only being willing, but being enthusiastic about creating this project! This is just the beginning and the best is yet to come. My multi-media producer, Kecia Y. Stovall, has been doing tremendous work in helping bring my visual ideas to fruition. If you would like to support her, her CashApp is $KeciaStovall.